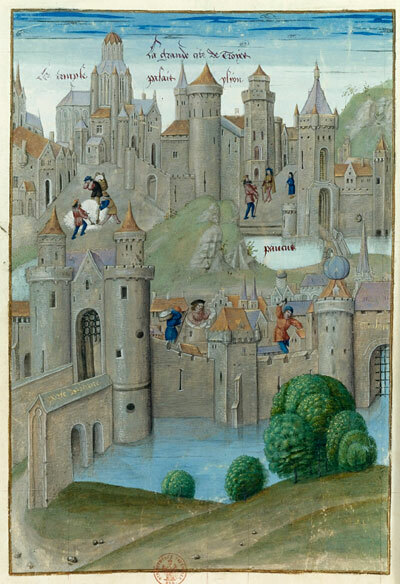 1360 – During the siege of Rheims, King Edward III of England pays 16 pounds (Approximately $4,000) to ransom skilled soldier Geoffrey Chaucer from French captivity. The King will be forced to pay an even higher ransom for Chaucer’s horse, as a well-trained war horse was considered far less expendable than mere soldiers. 1469 – William Caxton began translating the French work Receuil des Histoires de Troye, which he will later print as one of the first printed English books. 1692 – , an Indian slave from Barbados, are charged with the illegal practice of witchcraft in Salem Village, Massachusetts. 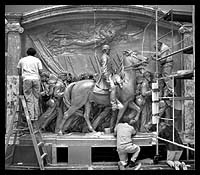 1848 – Irish-born American sculptor Augustus Saint-Gaudens (d 1907), his most famous work is the Colonel Shaw/54th Massachusetts Monument on Boston Common. 1873 – E. Remington and Sons of Ilion, NY begin the manufacture of the first practical typewriter. The heavy black clunkers soon become fixtures in offices across the country. It would be another half-century before electric typewriters make their appearance. 1879 – James Murray, a self-taught Scots philologist, was named editor of the research project that would eventually become the Oxford English Dictionary.